Phil Moenkedick was named to the ESPN the Magazine Academic All-District At-Large Second Team. Feb. 20, WR: Cobbs Step Up At NCAA Regionals! Feb. 10, WR: Record-Setting Dual Meet Victory! 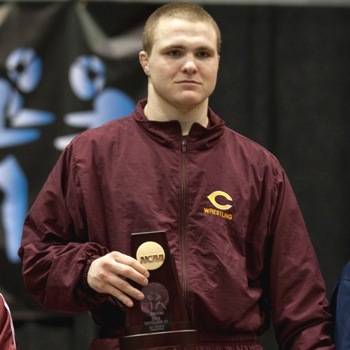 Jan. 20, WR: Cobbers Ranked 7th In Nation! Jan. 14, WR: Anderson Earns D3 National Honor! Jan. 9, WR: CC Finishes 6th At National Duals! Dec. 20, WR: Cobbers Go To Vegas, Baby!